Commonly used for: Business, Excellent Credit, No Annual Fee, No Foreign Transaction Fees. If you want to capitalize on frequent business travel without paying an annual fee, this card is hard to beat. The catch is that you have to book through BoA’s Travel Center to earn high-rate rewards. A worthy addition to your wallet? If you spend thousands on travel every month and don’t need the flexibility to book through portals like Expedia or Kayak, then yes. Business travelers who are interested in the bottom line will love this card’s no-hassle rewards program and higher-than-average bonus. Booking your business travel through the Bank of America Travel Center is what earns you the 3 points per dollar value. So $10,000 spent in a month earns you $300 in points. Think of how much that can add up over months if all of your employees used this card for their expenses. Not to leave the more modest spenders out – this card earns a flat rate on other purchases such as office supplies and shipping fees as well. While not providing as much bang for the buck as travel spending does, it’s a welcome 1.5% rate for a card without an annual fee. 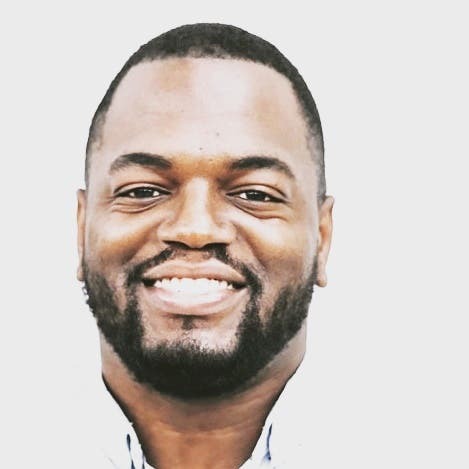 The only potential drawbacks have to do with the lack of flexibility with the rewards program. For starters, the bulk of the rewards are contingent upon you booking through Bank of America. It’s a bit limiting in that you can’t really search around for the best travel rates to take advantage of. Also, you’re unable to transfer points to other frequent flyer and hotel loyalty programs with this card. There are no limits on earning points with this card. The points you earn don’t expire. You can travel internationally and make purchases with no foreign transaction fee. This card carries a flat 1.5% earning rate on other business-related purchases. You get a solid bonus offer of 25,000 points after spending $1,000 in the first 60 days. You are limited to booking travel through the Bank of America Travel center. You are unable to transfer points to other travel loyalty programs. How much are your rewards worth? Bank of America cardholders redeem travel rewards through one of two options: WorldPoints Rewards or Travel Rewards. 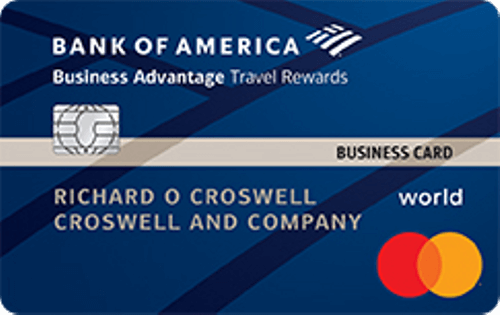 This particular Travel Rewards card offers 3 points per dollar when you book travel through the Bank of America Travel Center (powered by Expedia®). That’s in addition to the 1.5 flat earning rate on all other purchases. And, if you are a Business Advantage Relationship Rewards client, an additional 25% – 75% bonus can be had on the base earn of every purchase –– resulting in another 2.62 points per dollar at most. The 25,000–point bonus offer that comes after spending $1,000 in the first 60 days is a nice welcome gift. With this card, those 25,000 bonus points are worth $250 in statement credits. That means you can use your points to offset any travel purchases, but at a $0.01 monetary value per point. $0.01 is the highest value for BoA travel points when redeeming for travel credit. While you can redeem points for gift cards and cash rewards, it’s clear that most of your value with this card is found through travel credit. In order to make a substantial dent in your business travel costs, it makes sense to take advantage of as many bonus point opportunities as possible to raise monetary value. – There’s no annual fee or foreign transaction fee. – Balance transfers fee either $10 or 4% of the amount of each transaction, whichever is greater. – There’s a 0% intro APR on purchases during the first nine billing cycles of the account. – The standard APR for purchases and balance transfers ranges from 13.49% – 23.49% Variable.